Henry passed away peacefully on February 1, 2019 at Christiana Hospital in Newark, Delaware after a brief illness and complications from pneumonia. Born July 16th, 1938, in Sugar Notch, Pennsylvania to the late Andrew and Tessie (Grabowski) Broda, Henry attended Holy Family Catholic Church School in Sugar Notch, Pennsylvania and graduated from Sugar Notch High School in 1957. 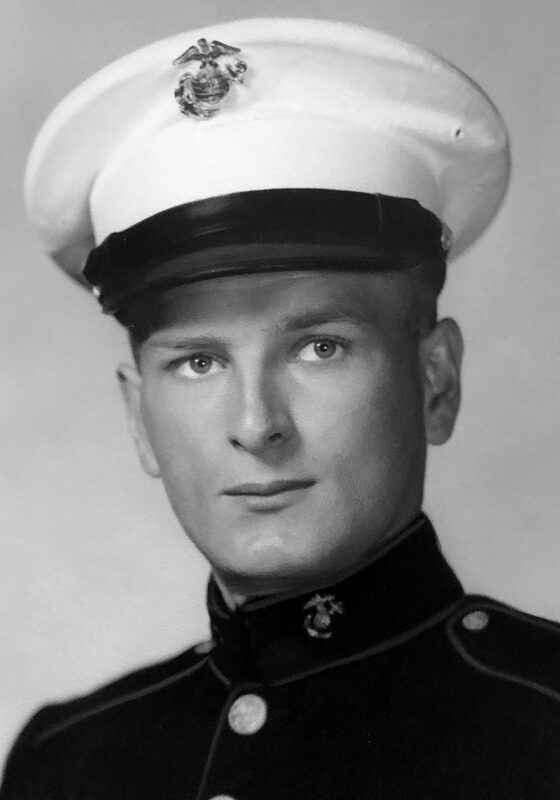 After graduation, Henry enlisted in The United States Marine Corps and served from 1958 to 1961. On September 1st 1962, Henry and Patricia (Gilroy) were married at St. Leo’s Catholic Church in Ashley, Pennsylvania, and recently celebrated 57 years of marriage together. They moved to Wilmington, Delaware in 1963 from Wilkes Barre, Pennsylvania when Henry received a job offer from The United States Postal Service in Delaware. He worked for the Postal Service in Wilmington, DE and then the Hares Corner site in New Castle, Delaware for a combined 36 years, before retiring in 1996. In retirement, Henry enjoyed spending time with his grandchildren and detailing cars – his car, or any family member’s car that pulled into their driveway always left cleaner than it arrived. He also enjoyed rooting on the Philadelphia Phillies and Eagles with family. He is survived by his wife Patricia “Pat” Broda, who was his caregiver for the last 12 years, his daughter Trisha Moyer, son-in-law Jeff Moyer, and his two beloved grandchildren Lindsey and Mitch Moyer. Additionally, Henry is survived by his sister, Irene, and her husband Stanley Dudeck from Wilkes Barre, Pennsylvania, and also his nephew, and godson, John M. Broda-Knudsen and his husband Bud Knudsen from Lewes, Delaware. The family would like to express their gratitude to the doctors, nurses and staff at Christiana Care for the kindness and wonderful care Henry experienced during his repeated visits. Burial arrangements will be private. RETIRED POSTAL EMPLOYEES SEND SINCERE CONDOLENCES TO FAMILY/FRIENDS. PAT/TRISH HANK WAS A GOOD FRIEND/FUN/WORK/FISH/CB RADIO/DOG FELL OFF WALL/MARYLAND AVE/WORKED ON HOUSE NEAR GM PLANT/GORDY ESTATES. WE WOULD FISH NEAR ST. ANDREWS IN MIDDLETOWN...WOULDN'T YOU KNOW TODAY WE LIVE NEAR NOXONTOWN ROAD. HE WAS ALWAYS NEATLY DRESSED AND CARING. WILL NEVER FORGET YOUR KINDNESSES...BLESSINGS/LOVE/ALWAYS...BEVERLY/ARNIE...TOWNSEND DE. Hank & I shipped out together from Wilkes-Barre in 1958. Up until a few years ago, we stayed in touch, mostly because of Hank's initiative. I guess it's been about 2 years ago that Hank stopped calling or returning my phone calls. I know he was sick and in pain. He usually called when he was home alone. I tried to boost him up with "Marine Corps" talk. Perhaps I didn't do a good job. I deeply regret that. He was a fellow marine, a good person, and a friend who I miss talking to. I hope he gets this message in Heaven!